The first stage of the expansion of a West Lothian village has taken shape with 55 new affordable homes already making a difference to people’s lives. West Lothian Council leader, Councillor Lawrence Fitzpatrick, marked the milestone for Winchburgh with the official opening of the houses. 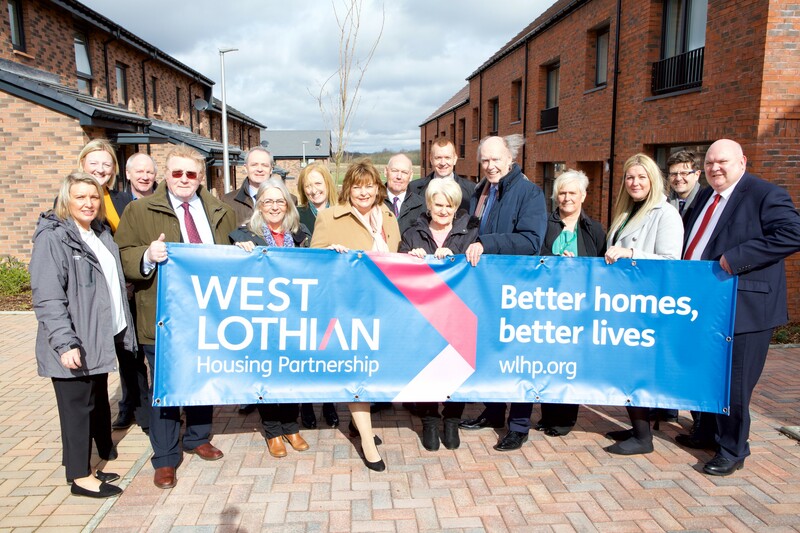 The homes, delivered by West Lothian Housing Partnership (WLHP), are part of a £1 billion transformation of Winchburgh that will see the village transformed into a town over the next 15 years. As well as new homes and school buildings, the plan includes improved transport links, a marina and green spaces. The 55 energy-efficient homes, all for social rent, are the first to be built by WLHP, now part of Wheatley Group, since it was formed in 2002. They are a mix of 36 flats and 19 terraced family homes. Future new-build plans will see WLHP, which currently has just over 430 homes, almost double its housing stock between now and 2021. 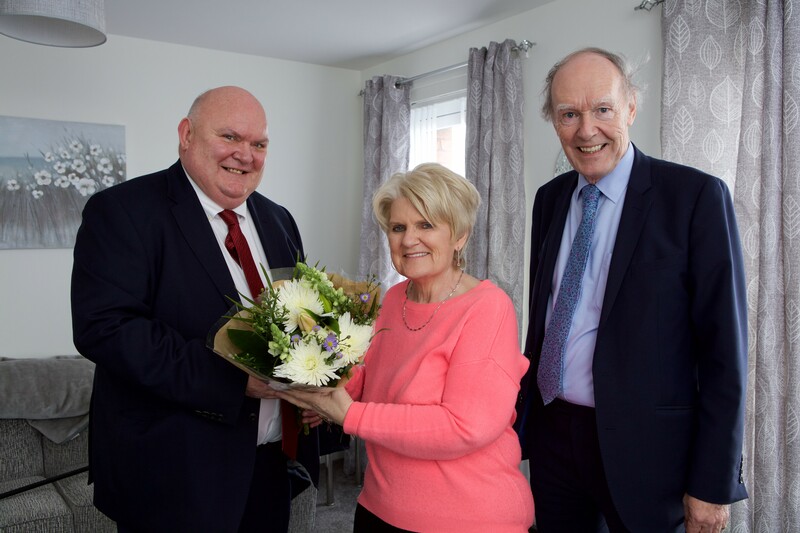 As well as officially opening the development, Councillor Fitzpatrick dropped in to visit tenant Helen McCollum in her new home. Helen, 65, moved from Armadale into her two-bedroom flat in January. She said: “It’s been a big change and a lovely change. It’s a beautiful house, it’s really well done. “The size of the rooms are so spacious and it’s very cosy. I’ve actually had to turn the heating down which I would never do before. The £7 million WLHP development was part-funded by a £3m grant from the Scottish Government. West Lothian Council has recently completed a further 41 homes on the site. WLHP’s head of housing Alex Lamb said: “People moving into our very first new-build homes is a historic moment for us – and I am absolutely thrilled to see the difference it is making already. “We’re also on site in Whitburn building 85 new affordable homes and work is due to start on 146 homes in Livingston town centre at the end of the year. The development was built by contractors McTaggart. As part of the contract with WLHP, McTaggart created 13 work placements and one full-time job. It also made a donation towards Construction Skills Certification Scheme courses for local young people to gain a qualification in construction. McTaggart director, Janice Russell, said: “Our commitment to delivering benefits to communities beyond bricks and mortar is key to our on-going relationship with Wheatley Group.